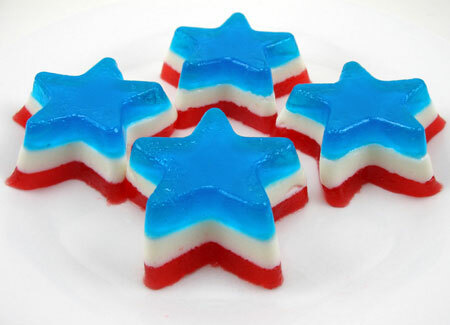 Note: You may use a berry flavored vodka like a strawberry vodka, blueberry vodka or raspberry vodka for the white jello recipe. Pour 1 cup of vodka into a bowl or container. Sprinkle 1 envelope of unflavored gelatin over the vodka. Let it stand for about one minute. 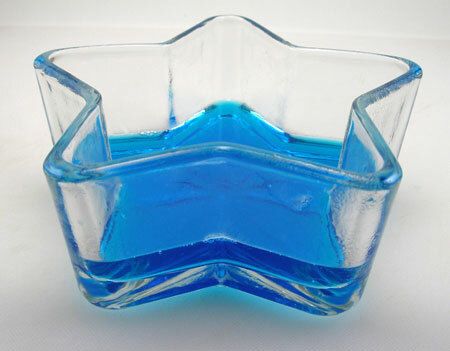 Add berry blue flavored Jell-O and pour 1 cup of boiling water. 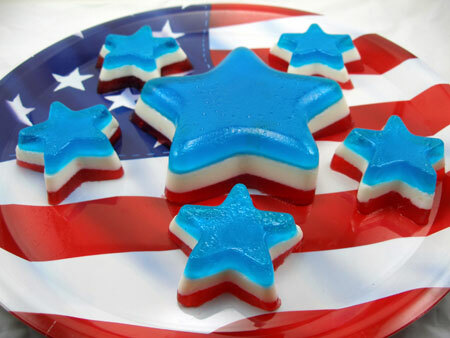 Stir until the gelatin completely dissolves. Pour 1 cup of vodka into a bowl or container. 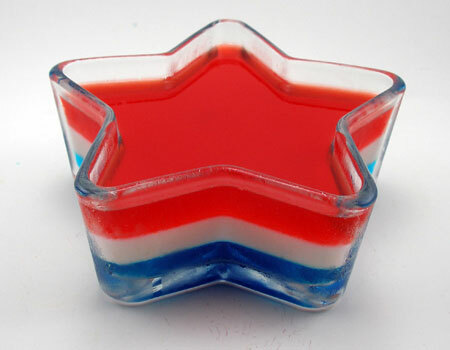 Sprinkle 2 envelopes of unflavored gelatin over the vodka. Let it stand for about two minutes. Add 1 cup of boiling water and stir until the gelatin completely dissolves. 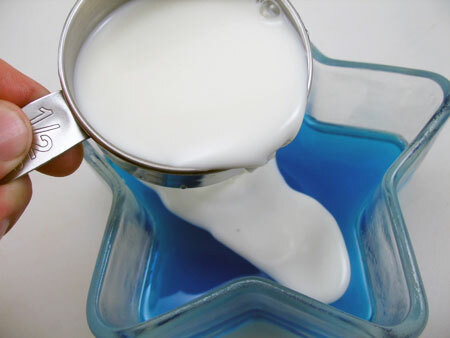 Pour the sweetened condensed milk and stir well. Pour 1 cup of vodka into a bowl or container. Sprinkle 1 envelope of unflavored gelatin over the vodka. Let it stand for about one minute. Add strawberry flavored Jell-O and pour 1 cup of boiling water. Stir until the gelatin completely dissolves. Note: You may use cherry or raspberry flavored Jell-O instead of strawberry. Once the star is firm, place a flat plate upside down over the open side of the mold, then flip the mold and plate together. Lift the mold off, leaving the star on the plate. 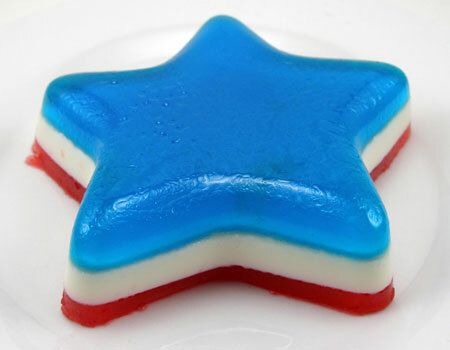 If you have a Wilton Mini Star Silicone Mold , you may use it to make mini layered jello shot stars. Just follow the instructions from above and pour 3/4 oz. of gelatin for each layer.